Some weekends we like to go to Mass on Saturday night, so we have all of Sunday free. We take the dogs on long walks through the fields in the early morning, when it is still comfortably cool. The fields are divided so the cattle can be shuttled from one area to the next, which allows grass to regrow in between grazing. There are only a few gates, so the quickest thing to do is go through the barb wire fences. The first thing I learned after moving to the farm is CLOSE THE GATES. The second thing I learned is how to go through a barbed wire fence. Fortunately I am much better at closing gates then I am at going through fences. This takes him about 5 seconds, and me about 5 minutes. I also have rips in clothing and scars on my arms and legs from when attempts fail. sigh. My father in law is growing a garden on about 1/2 and acre. He has corn, beets, carrots, cilantro, and potatoes. Our idiot dog decided it would be fun to antagonize a 1600 lb bull. We moved pretty quickly out of there. So remember a while ago I showed you that they are digging up the main streets in Cayo? Well this week, they dug smack into a Mayan site. Belize is covered with Mayan artifacts; what makes this one interesting is the fact that Cayo is sitting on top of it, and also cause they found some human bones. Anyways, I went down to have a look. Apparently I missed the bones by about 20 minutes: they had just been taken into storage. This is the main street. Notice, once again: no construction barriers. At first I thought all these guys were just hanging around. Then I realized they are the archeologists! Construction is obviously continuing—the backhoe would take a bucket of dirt and dump it on the side. Then the men would quickly sift through it with their tools. The rest of the archeologists were hanging out at a nearby restaurant having some beers. They let me take a look at todays find: some partial pots. I would love to know how old these are. It could be anywhere from a few hundred to a few thousand years old-- the Mayans have been in Belize a long time. Some books I read immediately go on my “need to reread this every year” shelf, such as Mountains beyond Mountains. These books help clear away the cynicism and hopelessness that can come from living in a country that is very poor. Kisses for Katie is one of those books. 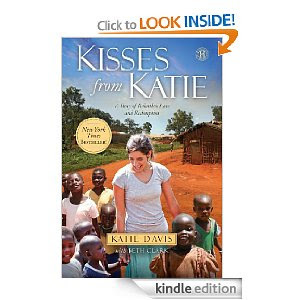 At the age of 19, Katie Davis went to Uganda for what was supposed to be a year of teaching kindergarten. Four years later, she is still there. 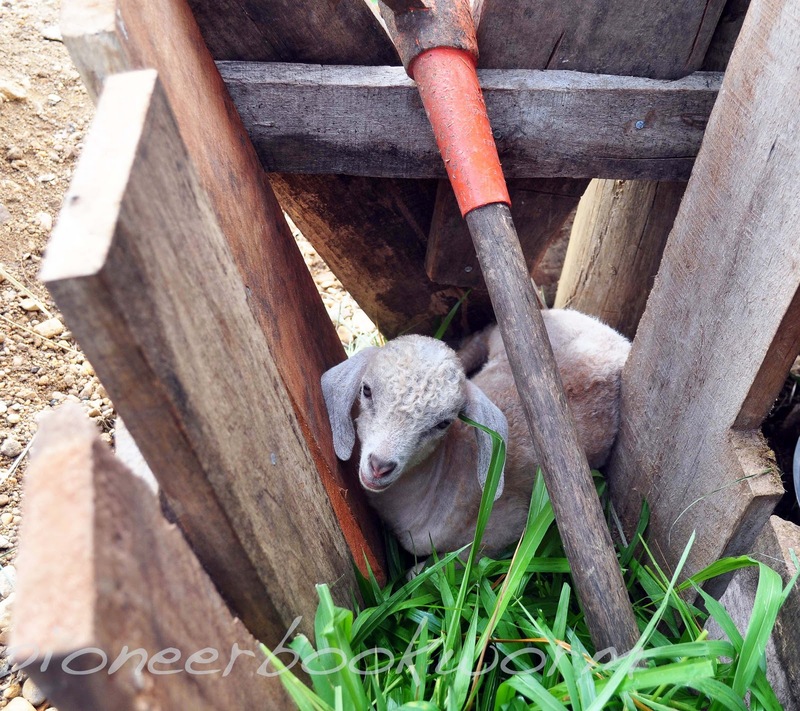 She has started a non-profit organization to care for her town. She has adopted 14 (!) little girls, and cares for many more sick and needy every day. She has arranged for the sponsorship of over 200 children, so they can go to school. Oh, and she also feeds 1600 children every week. And yet in the day to day it is the little things she focuses on, such as feeding one street child, visiting one sick elderly lady. She starts with one person, and God takes it from there. In society’s eyes, there is nothing spectacular about Katie. She comes from a nice family, had a lot of friends in high school, but then dropped out of college after her first semester and never went back. Her one amazing gift is her ability to love. And that gift is changing the world around her. Katie is an example of what an ordinary person can accomplish. She has no huge following, no famous connections, only friends and family at home who support her and a few locals who help out. If she can do this, anyone can. And that is what is so wonderful, and so scary, about her story. Scary because it makes you think hard about your own life, and how it could be different. I have to admit was a bit disappointed in this book, for the sole reason that much of the content seemed to have been recycled from Katie’s blog (http://kissesfromkatie.blogspot.com/). Since I’ve been following her for a while, nothing in the book was really new. I was looking forward to learning more about Katie and her life, such as what a normal day is to her, what kind of struggles she goes through with her 14 adopted daughters, or even some background on the area she is living in. I think this book would be more satisfactorily approached as a reflection/ prayer book. 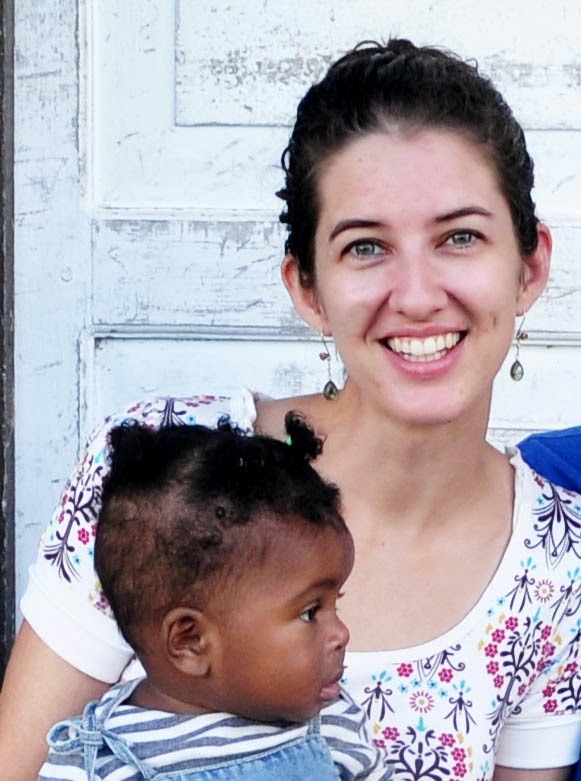 Katie has a gift for taking stories from her life and showing how God is working in the world, and how people can work for God. Even though I wish the book was a bit more in depth, I still recommend it, especially if you are not familiar with Katie’s story. I also recommend her blog, which has many wonderful pictures. It is a wonderful reminder of how much one small person can help, using only determination and faith. We haven't had much luck lately with our goats. 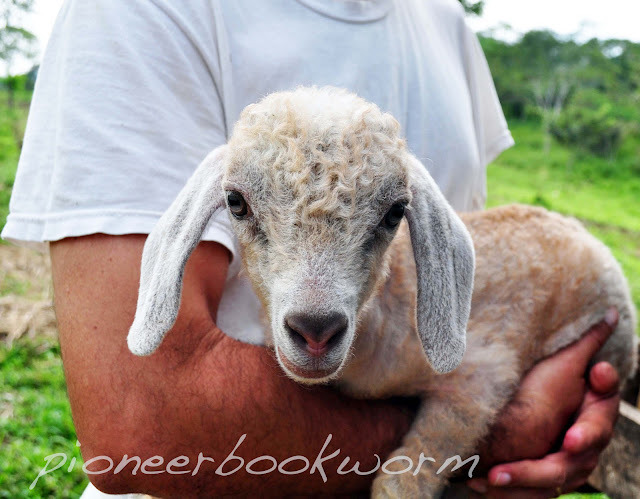 For several different reasons, 7 goats have died in the last couple of months, and sadly 5 of those were new baby goats. So we were very excited when a little male was born healthy and strong. He was promptly named poodle. When he was 3 days old, he disappeared for more then 24 hours. We seriously considered that he might have been eaten by a boa constrictor. Yep. The next afternoon, when we came home from work, he was calmly standing by his mom, non the worse for wear. We have no idea what happened, but we'll take it! Sometimes I don't realize how random my life is until I download pictures from my camera. This is an agouti, or gibnut, a nocturnal animal about the size of a cat. One of Daniel's cousins caught it. This animal is legendary in Belize because it was served to Queen Elizabeth when she visited years ago. I had never seen one in real life, and my first thought was, they served this to the Queen?? It is closer in relation to a rabbit, but it mostly looks like a large rat. You know those urban legends about 15 pound Mexican rats? Right here. The thing GROWLED at us the entire time. Freaky. There is a village down from the farm that you can't get to by road. Instead, there is a bouncy wood suspension bridge. I wanted to take a picture from the middle of the bridge but I was too busy hanging on. And we won't talk about the gaps where boards had broken. Villagers ride their BIKES over this. We went to visit one of Daniel's student's family. This is an example of what an outdoor kitchen looks like here. They are very common. It makes sense to have your stove/ fire outside in the heat. The fire hearth is made of cement or clay which is formed on top of a wooden platform so it is comfortable to reach. This little guy was born prematurely right before Christmas. It is chilly here (50's at night) and his mom didn't have any milk, so we moved him into the house to bottle feed him. my niece: I got to bottle feed the baby goat at Tia Cathleen's today! other aunt: (teasing) Eeeww! You stink like the goat shed! 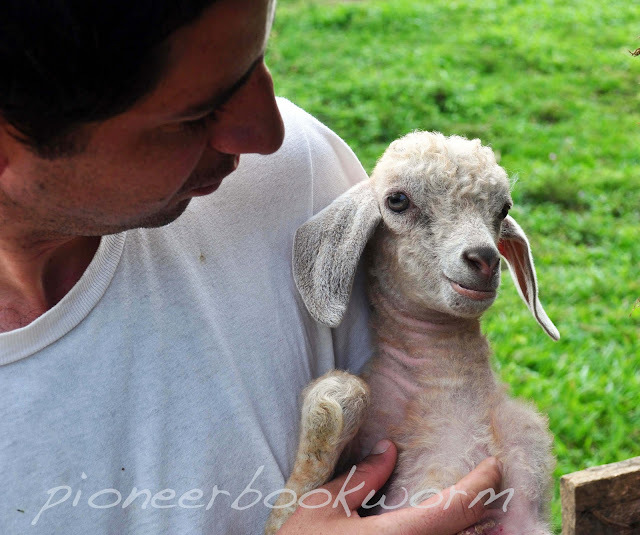 me: Actually, she wasn't in the goat pen, the goat is in our living room, haha! And to bring home the point that not everywhere is accessible by car, here is an alternate form of river crossing. This was fun-- they have a line set up, and you pull yourself across the river in a dory. I'm sure it's not quite as fun when it is rainy and the river is high, but we did see a river otter, so that makes up for a lot, right?